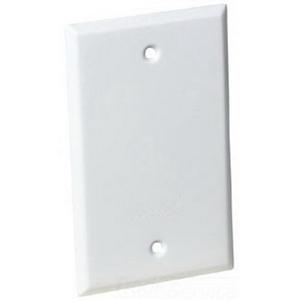 Thomas & Betts Red Dot® Weather-proof 1-Gang rectangular blank cover in white color, comes in blank configuration. It measures 2-13/16-Inch x 4-9/16-Inch. Cover is UL listed and CSA certified.